At Ron’s Trucking and Equipment Inc., quality is what sets us apart. Since 1974, we have built a reputation in the demolition industry by providing more than demolition; by providing engineered demolition solutions. Our Demolition Division is an integral part of this effort. Do you need basic demolition services, like an interior rip out for a remodeling project or the breaking of a concrete driveway? Ron’s Trucking and Equipment Inc. provides fast and cost effective demolition services. Our crew will come in, perform the necessary demolition, load all the demolition waste and other garbage into dumpsters, and remove it from the work site. We will leave your work site appropriately cleaned and ready for the next phase of your project. Ron’s Trucking and Equipment Inc. understands your need to stay on budget and on time, and has geared our services to be responsive to your needs. Our pricing is extremely competitive and we can often start new projects with as little as 24 hours’ notice. 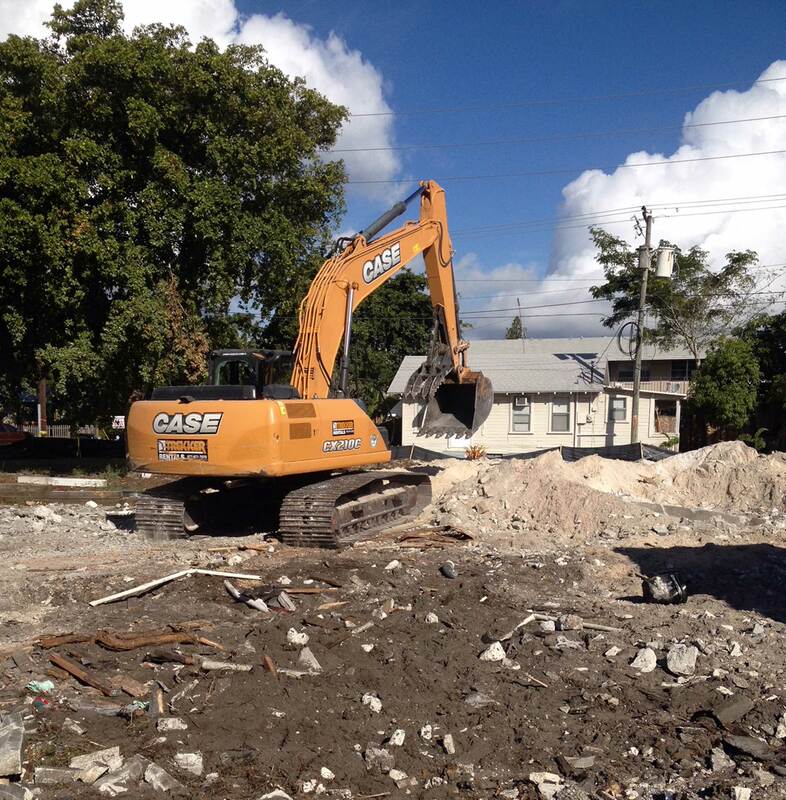 Express Demo & Waste provides basic demolition services in Boca and Ft. Lauderdale, and Palm Beach County. Are you looking for help with a basic demolition project? Our services are affordable and our operation is designed to allow us to deploy and complete projects rapidly. Looking to tackle an exterior demolition project? Ron’s Trucking and Equipment Inc. provides fast and affordable basic exterior demolition services like driveway/walkway demo. We provide full building teardowns or excavation services. We currently provide exterior demolition services in Boca and Ft. Lauderdale and Palm Beach County. NOTE: We offer full building demolition, wrecking ball demolition, landscape excavation, hazardous waste removal. Ron’s Trucking & Equipment, Inc..
Ron’s Trucking and Equipment Inc. is a demolition contractor providing Demolition Palm Beach County, complete demolition, site clearing, backfill and heavy equipment lowboy moves. © Copyright 2018 | Ron's Trucking & Equipment Inc. All Rights Reserved.